If we are to summarize personal finance, it will all boil down to four stages: cash management, debt management if any, risk management, and lastly, wealth management. The need for insurance falls under risk management. There are three basic personal risks in life that everybody has to deal with at one point or another. I even call them the three income robbers. First is death. It is a heavy word, but we all know we are subject to it. Second is a disability, which, like death, could come at the most unexpected moment, and could happen to anyone. Third is old age, a risk that exempts no one. These three risks definitely involve money. It is even worse for you if you are a breadwinner of the family who has three to five dependents, who rely on your capability to earn and provide for their day-to-day needs, as well as for their future. Despite these inevitable risks, the majority of Filipinos do not believe they need life insurance. Why? Probably they are still in the cash or debt management stage. This reason may be acceptable, or understandable. But for those who already have accumulated some wealth, would this still be the reason? I guess not. If you have reached this level in your personal finance, you can say to yourself, you no longer need life insurance. A guaranteed maintenance of a certain lifestyle. This means the family lives under conditions that provide its members a certain level of enjoyment as sustained and provided by the breadwinner. In any case, you happen to guarantee that whatever happens, if any of the three risks come at any moment, your family would not go through a financial crisis and no sacrifices would be necessary – that is one situation where you may not need life insurance. Here’s one example of that: Let’s say, you have inherited a large lump sum of money or property from a deceased relative, with no need to pay an estate tax since it has been covered and paid for by the deceased. However, this kind of a situation is very rare, with most of us having a 0.001% chance of that happening to us. So without such a guarantee of that windfall ever coming upon us, then probably we need to seriously consider getting a life insurance. Cost of education for your children. For breadwinners, one of the most wonderful things life can offer is to see your children achieve their goals in education, to become a great contributor to our society and economy. If you happen to have some savings that already cover the total cost of education for your kids, from elementary to college, then you do not need life insurance. However, if for some reason you are still struggling to save for it, then you need to think twice about insurance and prepare a backup plan or precaution to protect your savings against death and disability. The old-age risk would not really apply here since in most cases, during your old age, your children must have already graduated from college or university. Continuity and security of business interests. For people who have businesses, one area that gives them fulfillment is being able to contribute something to society that has an economic impact, such as providing jobs and services to people. Again, these things involve risks that are unseen and may be overlooked. If you happen to set up a well-defined business exit strategy, then you don’t need any life insurance. But if for some reason you haven’t, then you need to take advantage of using a life insurance as a tool to protect your business interests. For example, if you happen to have multiple partners in a corporation and each of you has different skill sets that have high value to your company, then a business buy-and-sell agreement will be necessary beforehand to protect the interests of each partner in the business. Through this agreement, it is not just your interest, but also the right of your family in the business, that is being protected. Mortgage payments and liquidation. When confronted with debt, the proceeds of your policy will carry out the full payment of all unpaid obligations. There are certain rules of thumb in having a loan, especially for long-term debts like mortgages. For some reason now, banks and major lenders have additional requirements before granting approval of the loan application, which may include having an insurance coverage that matches the loanable amount. If you have plans of getting a loan for the long term and can guarantee the lender that you can pay it back anytime and the lender approves it, then you don’t need insurance coverage. Conversely, with the new regulations being implemented right now, I doubt your loan application will be approved. 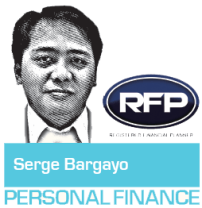 Serge Barcenas Bargayo is a registered financial planner of RFP Philippines based in Cebu. 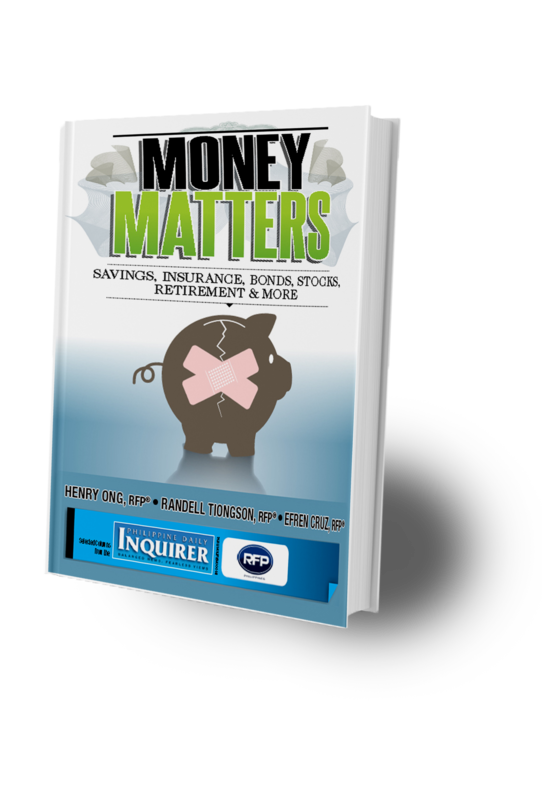 To learn more about personal financial planning, e-mail info@rfp.ph or text <name><e-mail><RFP> at 0917-9689774. Previous: How Do Quarterly Earnings Reports Affect Stock Prices?